This post is an enhancement for my previous post which talks about how to secure your REST API using Spring security oauth2. In case if you missed it, here is the place to grab. Spring boot is one of the new inventions from Spring framework that makes developers' lives easier when building large scale applications. Here is a good place to grab the concepts. 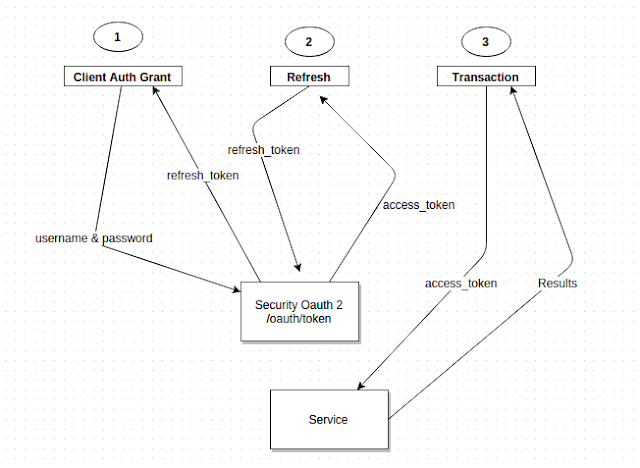 If you check my previous post related to oauth2 security then you know there is a bit of configuration that needs to be done in Spring side. But on the other hand Spring boot will do all the hard work and we just need to tell them what to do by a simple annotation. So this post is about how to configure Spring boot project with Spring security and Oauth2. Actually we can't really say configure because all most all configurations are done by Spring boot itself. For this project I'm using H2 in memory database. Because of that you don't need to create any database and tables as the creation happens at run time. But if you want this project to use MySQL as the data source then first create the database and then create the tables. Then check your oauth2 security by executing following curls. Performance is one of the main aspect that we all need to consider when implementing systems. Today's world of Service Oriented Architectures and distributed applications, detecting performance bottleneck is really a difficult task. If someone asked "Why is my web app slow ?" this requires investigation multiple components and execution paths, and it requires detailed performance data from all of the application components. In order to get the performance data one of the most common practice is to get the execution time for given path. System.currentTime() is one approach to do this. But we need to have some custom mechanism to aggregate these results to analyze further. Simple stop watch mechanism to time statements. Provides @Profile annotation to use it with Aspects. You can find more details explanation in here and here. As usual you can find the sample code here. First we will create a sample maven project and then create a class called PerformanceMonitor to hold the stop watch. As you can clearly see I used this as a ThreadLocal instance because I'm expecting to run this application in multi-threaded environment. Then run the App.java main method and this will create two log files in same hierarchy. All the performance related logs populate into a file called perf.log. When you inspect the perf.log file you can see the following output. Open up the output.csv and you can see the aggregated performance results. This article shows how to configure and run Selenium (+ Cucumber) Tests in Jenkins. Before we dive into more details we have to have Jenkins installed in a server. Here is a quick way to setup Jenkins in a linux server. First you need to install google chrome. This is called as chrome in headless mode. Because you really can't see the chrome window when you are running tests in Jenkins. Then install xvfb. OK what is this xvfb ? Xvfb or X virtual framebuffer is a display server implementing the X11 display server protocol. In contrast to other display servers, Xvfb performs all graphical operations in memory without showing any screen output. From the point of view of the client, it acts exactly like any other X display server, serving requests and sending events and errors as appropriate. However, no output is shown. This virtual server does not require the computer it is running on to have a screen or any input device. Only a network layer is necessary. OK , server changes are done. 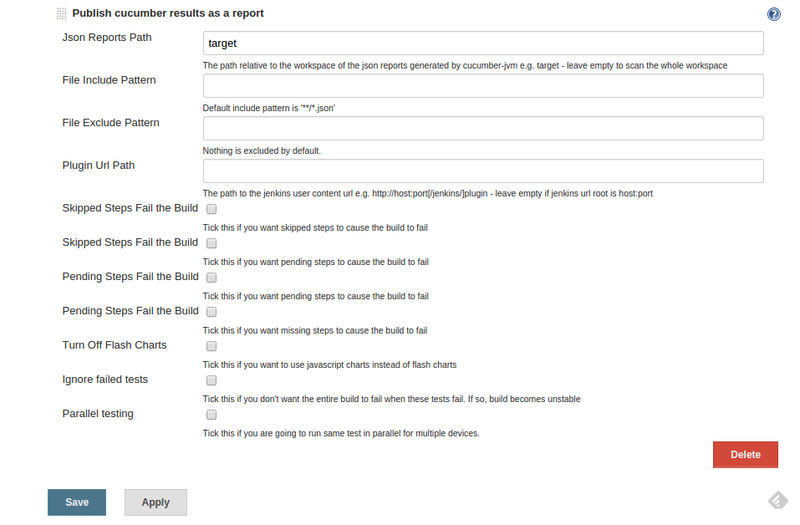 Now its time to move into Jenkins configurations. Why do you we need this ? 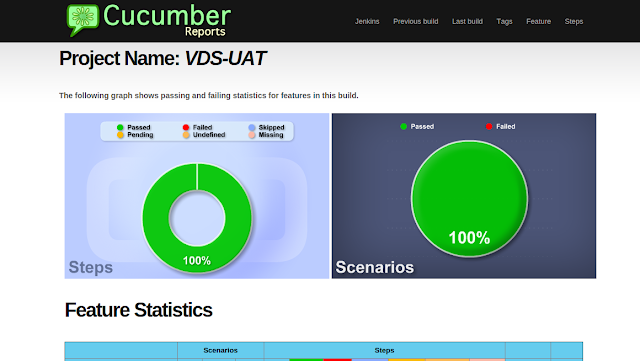 This plugin allows Jenkins to show Selenium + cucumber results as a graph with screenshots. So in order to generate graphs this plugin need the report.json file that generated from Selenium + cucumber. 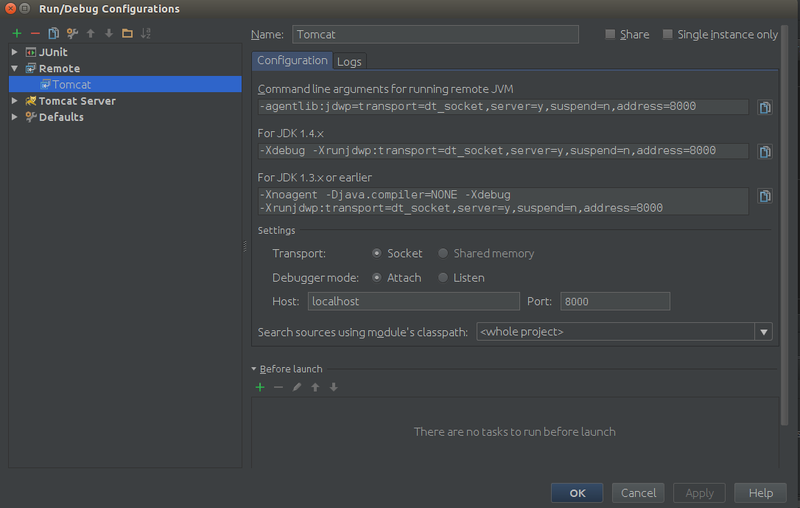 Here is the plugin configuration in Jenkins. Create Jenkins Job --> Then add this as "Post build Step"
OK We just configure Jenkins to run selenium and Cucumber Tests. Nutshell guide to enable tomcat debug. Check setenv.sh is exists , if not create a file called setenv.sh and add following line. Start tomcat. Your tomcat debug port is not 8000. Change port to 8000 and save. Setting up jenkins is something pretty straight forward. But configuring with Nginx is not that easy. So in this post I'm trying to ease this up for you. Before setting up jenkins I would recommend oracle java installation. So here how it begins. sudo wget --no-cookies --no-check-certificate --header "Cookie: gpw_e24=http%3A%2F%2Fwww.oracle.com%2F; oraclelicense=accept-securebackup-cookie" "http://download.oracle.com/otn-pub/java/jdk/8u31-b13/jdk-8u31-linux-x64.tar.gz"
To start jenkins fire up following command. To check your jenkins is up and running. In order to config nginx with jenkins we have do some customization.